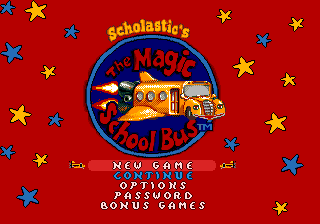 Scholastic's The Magic School Bus: Space Exploration Game is an educational game for the Sega Mega Drive based on the Magic School Bus series of books. It was only released in North America under the Sega Club brand. Main article: Scholastic's The Magic School Bus: Space Exploration Game/Magazine articles.